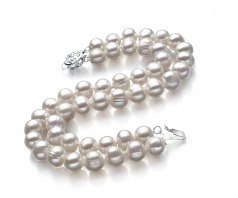 Gorgeous and Absolutely Stunning this double strand of White Freshwater Pearls makes a magnificent display of luxurious fashion sense. 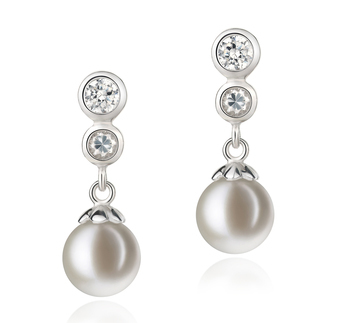 The sheer and stunning AA shape leaves ample room for the unique and interesting variation in shape styles and the AA lustre that encases the surface of every white freshwater pearl. 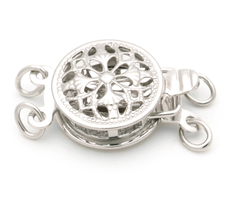 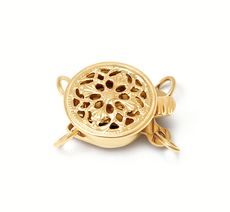 A spectacular brass double round clasp is fitted to the ends to ensure a secure and durable hold. 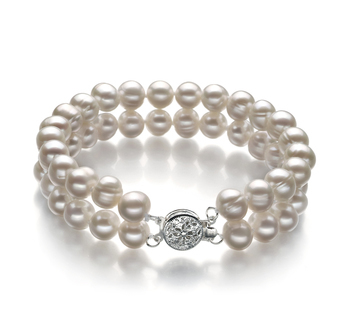 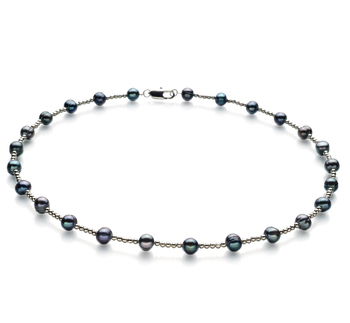 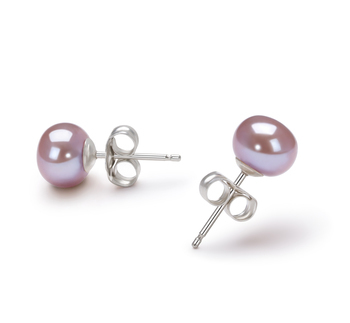 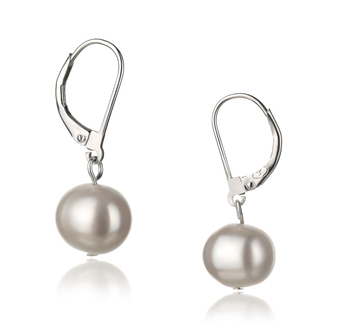 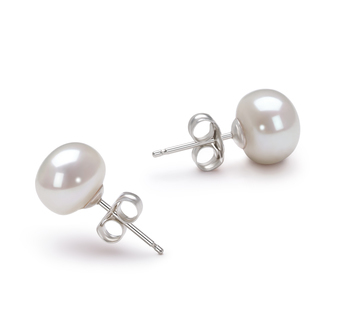 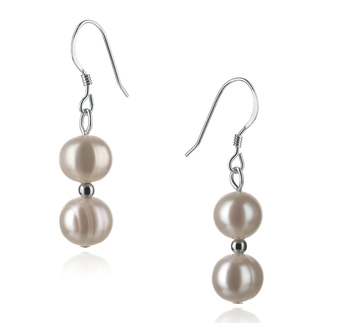 While each pearl is hand strung on a fine double knotted silk thread. 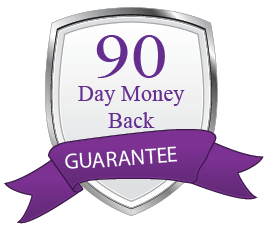 “Very good, prompt service. 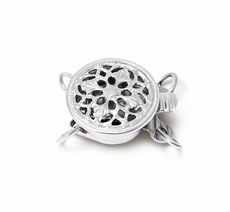 Better than anticipated. Show only for "Eda Bracelet"